Simple yet powerful Star Trophy, Beautiful modern star design on a black marlbe base. Perfect trophy for the star in your family! 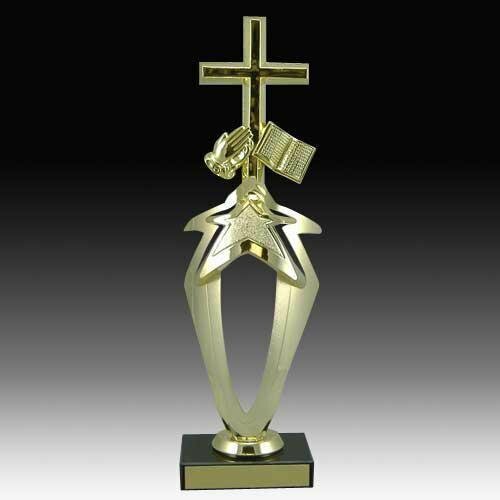 This star trophy is an excellent choice for all Religious Trophy needs. Price includes free lettering; simply add to cart to use our unique and powerful Award Builder Technology to add your personalization and choice of figurine.